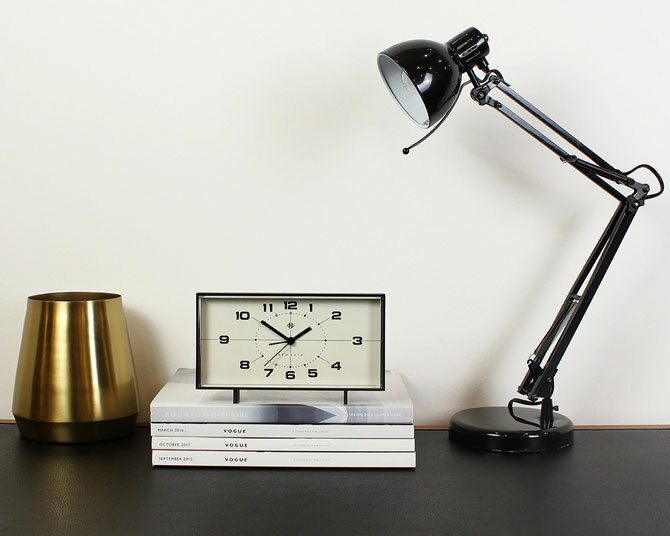 If you want a clock with a midcentury influence, look no further than The Wideboy mantel clock by Newgate. When I think of midcentury modern clocks, I think about the George Nelson range. In fact, I’m sure you do too. 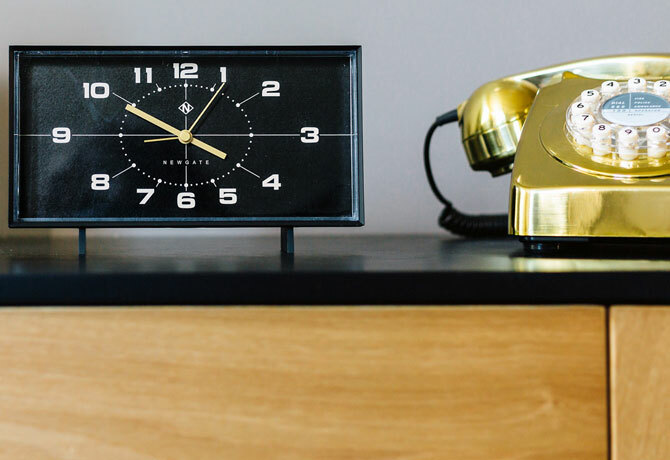 Nelson clocks are pretty much a byword of the era and as such, that’s the clock many go for when creating a midcentury look. Whether that’s one of the wall clocks or the mantel clocks. I’ll be honest, I have a Nelson mantel clock. It’s a lovely thing. But it is also quite a pricey thing too. 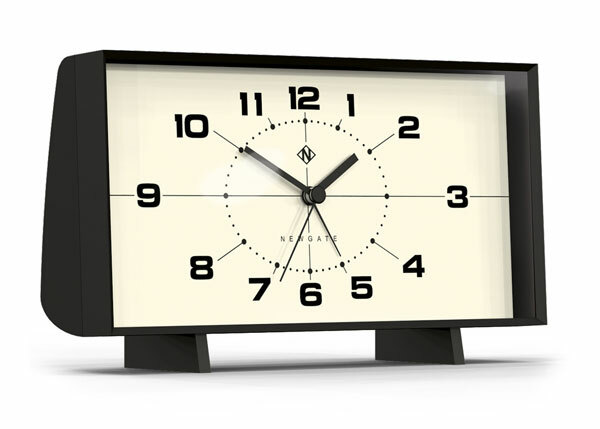 The big selling point of the Wideboy mantel clock, outside of the design itself, is the price. This is available for a fraction of the price of one of the George Nelson classics, but still has the look to work in a retro home. 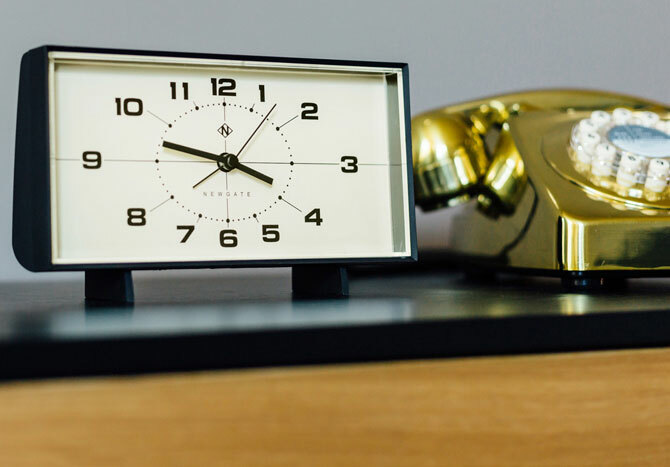 I love the shape of the clocks, with its subtly curved back and rectangular shape, as well as that oh-so-retro dial on the front, which is very midcentury/atomic. Two colour options to choose from too. I personally prefer the lighter face on this design, but if you check out further down the page, you can see the darker face, which might work better for you. All down to setting and personal taste. Oh, this is an alarm clock as well as an eye-catching clock. 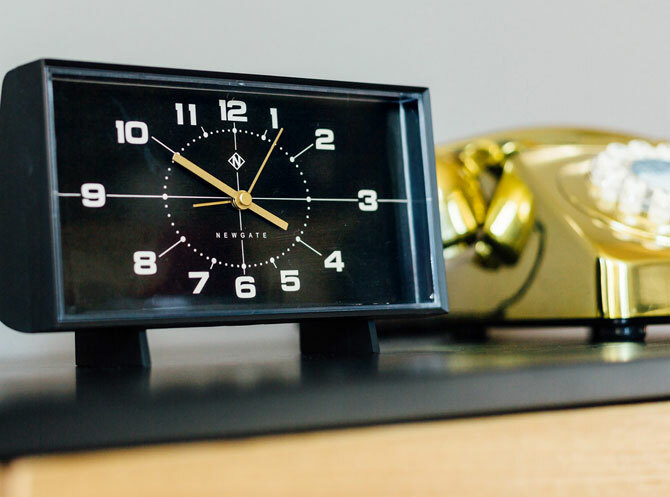 A ‘digital beep’ alarm will wake you up if you need it, but this works just as well as a living room or office clock if you prefer. 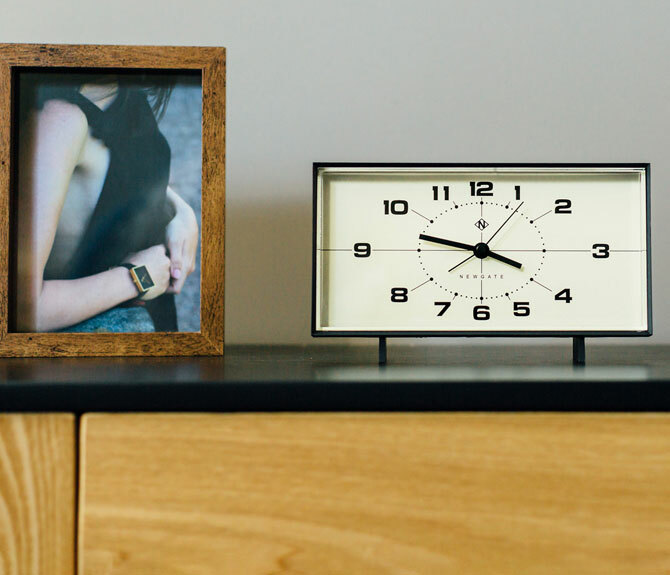 The clock is powered by a single AA battery and retails for just £40. Which seems like something of a bargain.